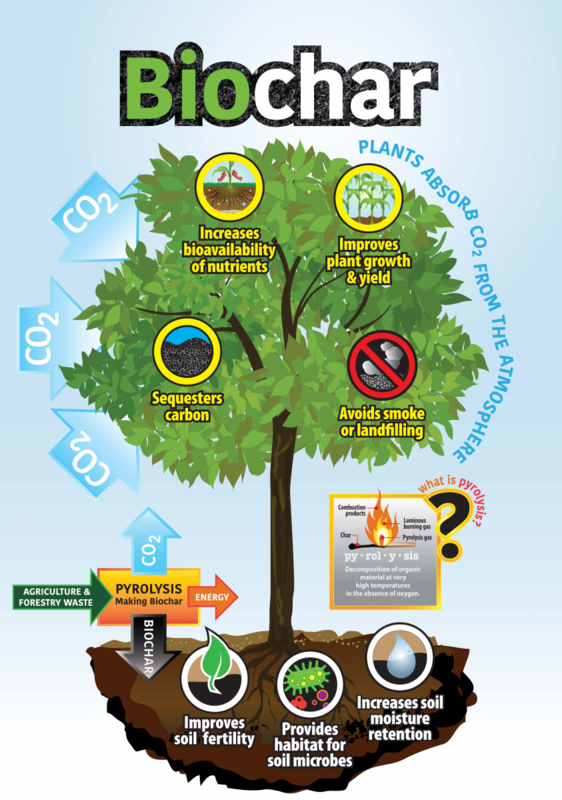 Biochar is a pure carbon product made from organic material. It's produced through a process called pyrolysis. Pyrolysis is the decomposition of organic matter at very high temperatures in the absence of oxygen. It changes the chemical structure of the organic matter undergoing the process.